Lees Summit, MO, July 29, 2009: The eBanyan application is now integrated with QuickBooks. 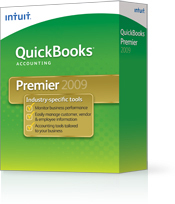 eBanyan turnkey solution provider, gives its customers all the features of intuit QuickBooks. This brings complete financial management capabilities to small business owners who do not want to deal with the hassle of trying to understand accounting jargon or debit/credit accounting. With eBanyan Quick Books integration, users can easily set up their business with QuickBooks, making it easy to create custom invoices, enter sales, perform electronic banking and bill payment, track customer contracts, track time, perform job costing, manage inventory, handle payroll, and even prepare for tax time. According to CEO of eBanyan, Mr. Abid Malik, said, That's our ultimate passion to provide our customers, all utilities which gives complete freedom to develop, with integration to QuickBooks we give full chance to small business to turn into a big ones. Headquartered in Lees Summit, Missouri, eBanyan makes it easy for small and mid-size businesses to achieve remarkable benefits of e-commerce. The company was established in 1998 and has pioneered development of new e-commerce tools. eBanyan, team of experienced individuals are experts in Internet applications, security, data warehousing, and business functions such as manufacturing, customer service, finance, marketing, merchandising and promotions.